The .30-30 round is a time tested and well proven load for the lever action platform. 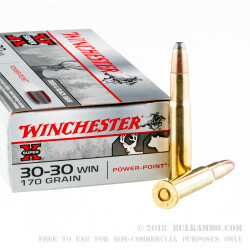 The .30-30 Winchester, also known as .30 WCF, and the .30 Winchester Center Fire, is a loading that was designed in 1895 for the Winchester 1894 lever action rifle. The .30-30 Winchester is still doing its job today and many shooters still take this round hunting and succeed with it every season. It can be used for hunting Big game, medium sized game, and medium-large sized game such as moose, elk, deer, big horn sheep like pronghorn, caribou, black bears and other North American game animals. In 1895, the original loading that was made by Winchester was topped with a jacketed 160 grain bullet. Following that, the Union Metallic Cartridge Company began making a larger bullet for the 30-30, the 170-grain jacketed round. The 30-30 Winchester 170 grain load became the most widely used round and still holds the number one spot to this day. 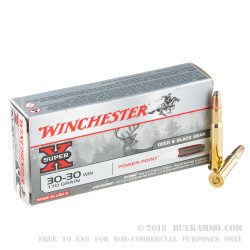 These Winchester Super-X Power Point .30-30 loads are specially designed hunting loads. 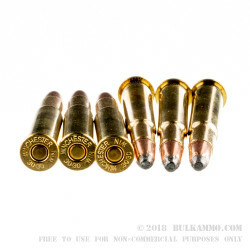 The Power Point Bullet is 170 grains and has a line-sectioned copper jacket with a Soft Point tip that causes the “mushrooming effect” as these rounds enter the target. 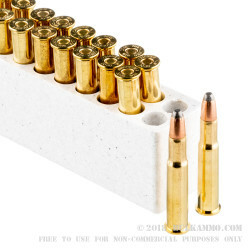 The loading uses a new high polished brass case, Boxer primed, rimmed, reloadable, non-corrosive, with thick walls that are designed to withstand the pressure load of this cartridge. It features a muzzle velocity of 2200-feet per second and a muzzle energy of 1827-foot pounds. Whether you’re headed to the range or you’re going to a shooting competition, these 20 round boxes will serve you well. Stock up now.